Davit Dilanyan was born in 1991, the year when the Soviet Union collapsed and Armenia threw off Moscow rule after 71 years. That makes Davit a member of what Armenians call the independence generation, the young people who have grown up in an independent state. I met Davit, a professional facilitator, when he was running a workshop at the hostel in Yerevan where I was staying. On a day after the workshop ended we went for a leisurely coffee and chatted about life, the universe and everything Armenian. Davit is slightly built, gentle, alert and full of nervous energy. He is patriotic, steeped in his country’s difficult history yet forward-looking. Our conversation ranged widely, from the emergence of a pub culture in Yerevan to Armenians’ backing for President Bashar al-Assad of war-shattered Syria. First I asked Davit about his youth. His early years coincided with a period of extraordinary challenge, when Armenia fell back to a pre-industrial way of life. War with Azerbaijan over Nagorno-Karabakh and the dissolution of the Soviet Union meant Armenia had scant electricity. Davit grew up in a small town near Yerevan. He has memories of universal poverty, very little light and his brother heading off to collect firewood to keep the home fire burning. “I remember them grey and dark actually, these years. But I always remember candles,” he said. He recalled his mother rushing to do household chores like washing during the one or two hours of daily electricity. We moved on the current state of Armenia. “We don’t have the best economic situation,” said Davit. “It’s probably the worst in the South Caucasus.” Electricity shortages are a thing of the past, but Armenia has low wages and few exports, mainly brandy, wine, fresh fruit and minerals. Its borders with Turkey and Azerbaijan are closed so it relies on road links with Georgia to the north and Iran to the south. I asked Davit what was working well in Armenia and that moved us into a whole discussion of the independence generation. He said many young Armenians were getting a good education and often spoke several languages. It was the young, he said, who had taken the lead in street protests in June over a planned increase in electricity prices. These protests lasted more than 10 days and made international headlines. They were a challenge for the Armenian government because the distribution firm planning the hike was a subsidiary of a Russian company and Russia is a key ally. The protesters basically won the day. Davit painted a picture of Yerevan youth leading the way and older people then joining the ranks of the protesters. He said the country was benefiting from the non-conformist stance taken by Armenia’s pro-independence and environmental movements back in the late 1980s. “The people who stood up then taught their children not to be conformist…The independence generation is really active. This is the future of Armenia, I am sure,” said Davit. He described pub life as the symbol of the youth of Armenia. “I don’t think the pubs are places for getting drunk in Armenia,” said Davit. “You just go there to hang out and to have a nice time.” Often there was music and you could dance. There were rock pubs. Members of NGOs, entrepreneurs also gathered in pubs to discuss plans. When I asked Davit what was not working well, he said there was corruption and nepotism in Armenia, but less than there had been a decade or so ago. In no time at all the conversation focused on emigration. He knows from first-hand experience that the economic pull drawing Armenians away from their own country can be very strong. He studied in an Erasmus programme in Italy for seven months and received a grant of 1,000 euros a month. Back in Armenia studying for a PhD he gets a grant of between 40 and 50 euros a month. Nor is money the only reason that emigration appears attractive to some. Young Armenian men are expected to serve two years in the army. Davit said the continuing conflict with Azerbaijan over Karabakh was one factor behind emigration “because there are still shootings and deaths alongside the border”. Finally, I asked Davit what core message he would give if he had five minutes on world television. He immediately said he was getting really stressed when he read news items about Islamic State. “My first message is peace for all the world,” he said. Then our conversation took a turn which surprised me. Making his plea for peace, Davit had tapped into the deepest, most terrible memories of his race. Since the Genocide, Armenians see the world through the prism of who stood by them in their hour of need. Davit told me that Syrians had been the first people to offer sanctuary to Armenians fleeing from the massacres in the Ottoman Empire. He said Armenians still felt gratitude to Syria and he praised Assad for what he felt was the Syrian president’s supportive policy towards religious minorities. “Armenians are rather in favour of Assad,” said Davit, whose plea for world peace just minutes earlier had come across as totally heart-felt. One strong impression I have after talking to Davit is that Armenia is a “bridge country” between East and West. Davit is fluent in Armenian, Russian and English. 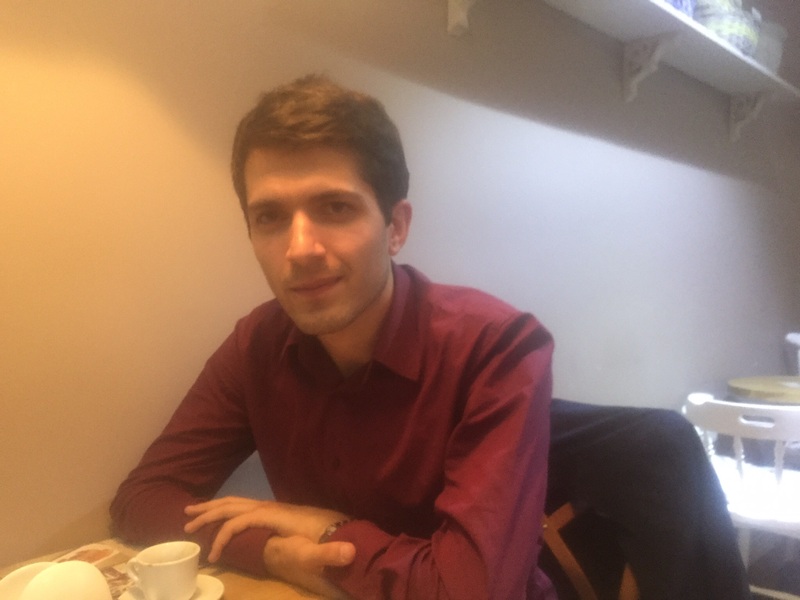 He is writing his PhD on the Eurasian Economic Union, the political and economic bloc set up by Russia and to which Armenia belongs. Davit’s girlfriend is Czech and lives in Prague, where he is a fairly frequent visitor. We need bridge countries and bridge people, even if some of their views do not accord with our own.